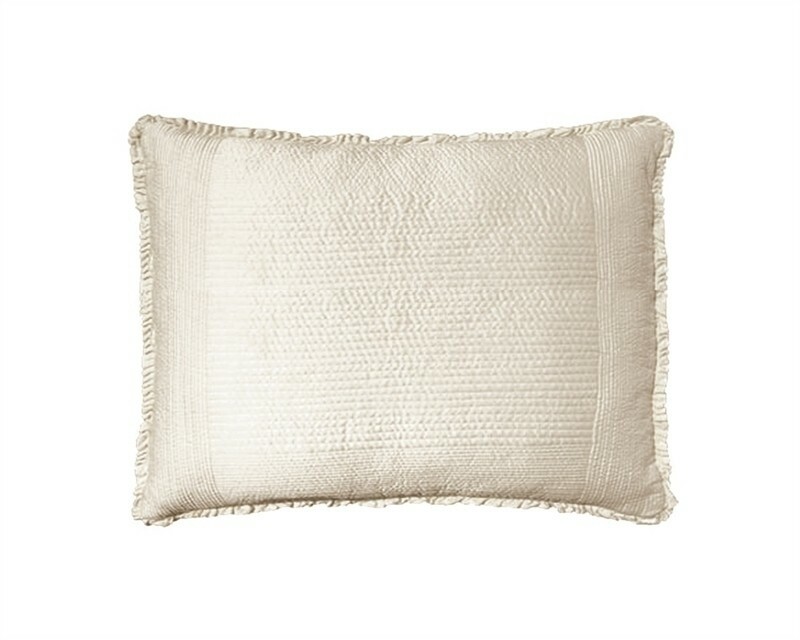 Battersea Quilted Standard Pillow (20x26) is made of Ivory Silk & Sensibility with a Cottage Ruffle Flange. Reversible and Machine Washable. Imported.